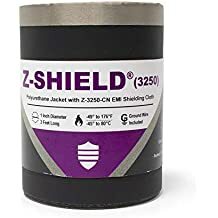 Zip Wrap - Search - ZT | Zippertubing Co.
A flexible yet rugged solution that is equipped with a secure, heat-resistant brass zipper and durable sleeve to handle extremely high and low temperatures. PRT® (Transition) is a wrap-around solution engineered for connector backshells and other forms of transitions. This is the perfect product for applications that are fitted with non-removable electrical connectors. PRT® (Transition) boots’ excellent anti-abrasive, environmental, chemical, and electrical properties are resistant to most oils and fluids, mild acids, and alkalis. 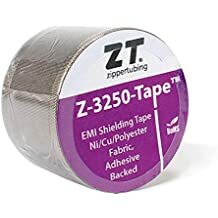 Repair wires or cables with a diameter up to 1/2"
Repair wires or cables with a diameter of 0.05" to 0.25"
Zippertubing offers 3 sizing options available for purchase today: ¾”, ½” and 1”. Other sizes may be available upon request. A completely white, halogen-free, flame-retardant thermoplastic polyurethane extruded pressure-track system. Add two EZ-Track® (TPU) single extrusions together for a new diameter of up to 0.875"